Neodymium magnet is a permanent magnet material based on intermetallic compound Nd2Fe14B. NdFeB permanent magnets have been widely used in modern industry and electronic technology due to their high magnetic energy product and coercivity, and high energy density, which makes it possible to make instruments, electroacoustic motors, magnetic separation, and magnetization equipment small, lightweight and thin. Neodymium has the advantages of high-cost performance and good mechanical properties; the disadvantages are low Curie temperature point, poor temperature characteristics, and easy to pulverize and corrode. It must be improved by adjusting its chemical composition and adopting surface treatment methods to meet the requirements of the practical application. The sintered NdFeB permanent magnets are made by powder metallurgy. The melted alloy is made into powder and pressed into compacted embryos in the magnetic field. The compacted embryos are sintered in inert gas or vacuum to achieve densification. In order to improve the coercivity of magnets, aging heat treatment is usually needed. At present, the main application fields are permanent magnet rotor, generator, nuclear magnetic resonance imager, magnetic separator, acoustic loudspeaker, magnetic levitation system, magnetic drive, magnetic lifting, instruments and meters, liquid magnetization, special-shaped magnet magnetotherapy equipment and so on. It has become automobile manufacturing, general machinery, petrochemical, electronic information industry. NdFeB permanent magnet is the strongest permanent magnet in the world at present. The magnetic energy product of special-shaped magnet is ten times higher than that of ferrite, about twice as high as that of the first and second generation rare earth magnets (samarium-cobalt permanent magnet), and is known as “the king of permanent magnets”. Instead of other permanent magnets, It can double the volume and weight of the device. Because of the abundant neodymium resources, compared with the samarium-cobalt permanent magnet, the special-shaped magnet replaces the expensive cobalt with iron, which makes the products cheap in price and good in quality, so it has been widely used. 1. Ferromagnetic materials such as iron, cobalt, nickel or ferrite are different. The electron spins in them can be arranged spontaneously in a small range to form a spontaneous magnetization region, which is called a magnetic domain. Ferromagnetic materials after magnetization, the internal magnetic domains neatly arranged in the same direction, so that the magnetism is strengthened, constituting a magnet. The magnet’s absorption process is the magnetization process of the iron block. The magnetized iron block and the magnet produce attraction between different polarities, and the iron block is firmly attached to the magnet. 2. Matter is mostly made up of molecules, molecules are made up of atoms, and atoms are made up of nuclei and electrons. Inside the atom, electrons spin and revolve around the nucleus. These two motions of electrons generate magnetism. But in most substances, electrons move in different directions, in disorder, and the magnetic effects cancel each other out. Therefore, most substances do not exhibit magnetism in normal conditions. 3. 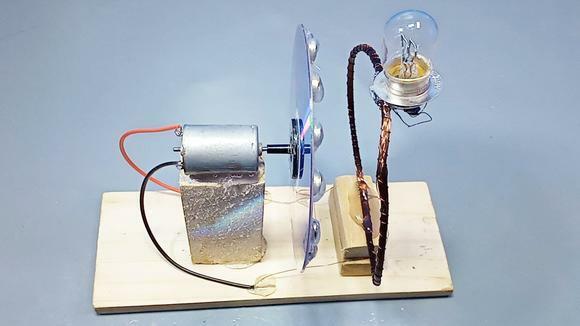 Determined by the characteristics of the magnet, if interpreted by the atomic current, it is the magnetic field generated by the current magnetizing other objects, magnetizing objects produce an electric field, then the electric field has interaction force. In the rare earth functional materials industry, high-performance neodymium permanent magnets are mainly used. Neodymium magnets are mainly used in high-end applications such as new energy and energy-saving and environmental protection, such as EPS, new energy vehicles and so on. With the technological innovation of the automobile industry and the demand of energy saving and environmental protection, electric or hybrid vehicles with low energy consumption, low noise and low exhaust gas have become the goal of everyone. Bonded Nd-Fe-B magnets have the advantages of high magnetic properties, small size, and high efficiency. The motor using Nd-Fe-B magnets has 8-50% higher efficiency, 10% lower power consumption and 30% lower volume and weight. The development of the automobile is miniaturization, lightweight, high performance, and energy saving and environmental protection. In addition, bonded neodymium magnets are mainly used in micro-motors and sensors of medium and high-grade vehicles. Each medium and high-grade and luxury car uses 50-80 micro-motors, some even up to 100, with an average of at least 60. For example, the seat motor, window motor, wiper motor, EPS power steering sensor, magnet rotor, onboard CD or hard disk and so on, with the development of automobile to comfort, energy-saving and automation, the neodymium magnet used in automobile motor will increase. In addition to automotive applications, hard disk drives have the high application of bonded NdFeB. The world has entered the information age. 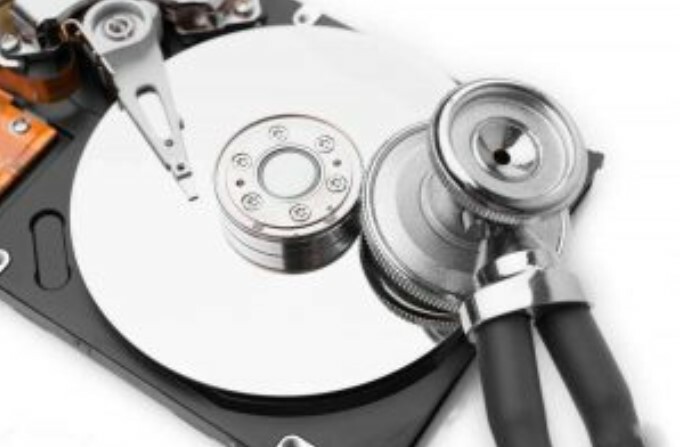 The improvement and development of magnetic storage technology and hard disk drive technology will certainly bring about the development of large data storage industry, and the global demand for hard disk will remain stable. And the development of cloud computing has a higher requirement for massive data, massive storage and massive management of computers. As an important medium of magnetic storage technology, the hard disk is one of the most important data storage methods. It will develop with the development of cloud computing. 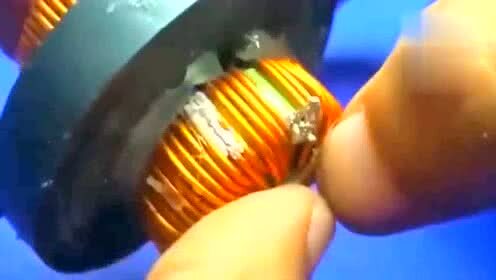 This will bring a large market for bonded neodymium magnets for the hard disk. Moreover, the emergence of ultra-thin hard drives brings new opportunities for bonded neodymium magnets. To counter the impact of SSDs, several of the world’s largest hard disk manufacturers are planning to develop ultra-thin hard disks to meet the increasing popularity of the tablet computer market demand, the development of ultra-thin hard disks will bring new opportunities for hard disk magnets. With the rapid development of modern science and technology, we have experienced the full progress of all walks of life in the enjoyment of the rapid development of science and technology, but also in all walks of life can improve the efficiency of the method. No matter how the development of science and technology, our life and work are inseparable from the motor, it is natural to use motor tiles. So the development of magnetic tile in science and technology is also very important. Every day we work off the means of transportation, the need to drive the motor vehicle movement, the motor in the shoulder of energy conversion at the same time also shoulder the efficiency and safety and other tasks. Among them, the motor magnetic tile is also very important. According to the actual needs, the magnetic tile has a variety of shapes and styles. Modern tiles are made of permanent magnets, on the one hand, the magnetism will not disappear, basically achieving permanent use. You can assume that if it’s not a permanent magnet, if there’s a loss of magnetism or a loss of magnetism in the process of application, the consequences can be imagined, not much impact and damage, but a car or an aircraft is the entirely different concept. In addition, the magnetic tile is now required to be able to withstand high temperature, if the motor heating caused damage to the magnetic tile, also in some heavy industry or high-tech areas will cause inestimable losses, so the more important our motor tile is, the more need to ensure its safety and performance. Of course, in today’s high-tech, the industry has been very standardized, magnetic tile development has been able to meet the needs of industry development. At present, the strongest permanent magnet is neodymium magnets, so it is also called neodymium super magnets. The neo magnets produced by Stanford Magnets is mainly special-shaped strong magnet. They are often used in magneto, servo motors and micro motors. But the magnets used in different environments are also different, if you want to say which magnetic force is strong in the ordinary environment, it is OK to use N grade NdFeB magnets, we can use N35-N52 according to the situation, the higher the grade of is, the stronger the magnetic force of magnets with the same specification is), the highest operating temperature is 80 degrees. Many people will think that the magnetic force adding H, SH, UH behind grade will be stronger, in fact, the higher the temperature is, the lower the magnetic force is, the inverse ratio is not proportional. Which part of the magnet attracts the most? This is a magnet with a strong magnetic force at both ends, which can also be measured by a gauge. The magnetic field at the center of the magnet is lower than that at the edge of the magnet. What magnet is the strongest magnet in more than 200 degrees Celsius? In the environment above 200 degrees Celsius, samarium cobalt magnet is the most powerful magnet. The price of magnets is slightly higher than that of neodymium magnet. Because iron is a small part of the samarium cobalt magnet, it is not easy to be corroded. Generally speaking, it is not necessary to make electroplating treatment. For beauty, electroplating is also acceptable. If the samarium cobalt magnet is used in seawater, some rust spots will appear on the surface of the product, but it will not affect its performance and use. Due to the physical properties of the samarium cobalt magnet, which is very brittle (even brittler than glass), and the edge part will be short of edges and corners if a little force is applied. As far as ferrites magnets are concerned, magnetism is relatively weak and the price is very low. In case of extra high temperature, it is usually chosen. What are the main differences between universal magnetism and strong magnetism? Ordinary magnets, including ferrite magnets, that is, we usually say it the iron absorption stone, the surface does not need to do surface treatment, the appearance is black. Strong magnets, generally refer to rare earth permanent magnet, including powerful neodymium magnets, the surface is usually galvanized two kinds of nickel plating, of course, there are many coatings. The biggest difference between the two is the appearance, high-temperature resistance, and price, if the magnetic force is not much required, as long as the cost is low, then the use of ordinary magnetic can be, like some packaging, handbags, leather products, mostly ordinary magnetic. If there is great demand for magnetism, then strong magnetism is the first choice. Why do we use heteromorphic magnets? What are the advantages of heteromorphic magnets? The special-shaped magnet has high-cost performance and good mechanical properties. It has high magnetic energy product and coercive force, and has been widely applied in modern industry and electronic technology. Heteromorphic magnets are widely used in electroacoustics, electrical appliances, magnet rotors, mobile phones and so on. Are Neodymium Magnets Stronger Than Ceramic Magnets? In general, the magnetic induction near permanent magnets (AlNiCo alloy magnets, ferrite magnets, etc.) is about 0.4-0.7 tesla. But rare earth magnets (neodymium magnets, samarium cobalt magnets) can produce a magnetic field of more than 1.4 tesla, is much larger than the usual Al-Ni-Co or ferrite magnets. Among permanent magnets, rare earth magnets produce the greatest magnetic field, which is much larger than aluminum-nickel-cobalt magnets or ferrite magnets. Rare earth magnets generally produce a magnetic field of more than 1.4 teslas, whereas ferrite or ceramic magnets produce only about 0.5 to 1 tesla. Two of the most common rare earth magnets are: neodymium magnet and Nd-Co magnet. The two magnets contain Nd and Sm in rare earth elements, respectively. Rare earth magnets are very brittle and vulnerable to corrosion, so they are usually coated with other metals to protect themselves. The Ferrite permanent magnet is also known as a Ceramic Magnet and even as hard ferrite magnet. The name is interchangeable but they all refer to exactly the same material type. They are known as Ceramic Magnets because they are electrically insulating. Ferrite permanent magnets exist in two forms – Strontium Ferrite magnets and Barium Ferrite Magnets. The Strontium Ferrite Magnets is the most common. Ferrite magnets are darker grey in color and are often referred to as having a “pencil lead” appearance. Ferrite / Ceramic permanent magnets are technically known as hard ferrite materials (when exposed to a brief external magnetic field, the material retains magnetism due to having high coercivity, Hc). They are not the same as soft ferrite materials as used in transformer cores (which do not retain magnetism after exposure to a brief magnetic field because soft ferrite materials have low coercivity). The high coercive force of Ferrite Magnets means they are classified as hard materials, like all the other permanent magnets. Ferrite magnets are extremely popular due to their characteristics. Ferrite magnets are corrosion free – for the long-term performance they are superb; if looked after they are capable of exceeding most products lifecycles. Ferrite magnets can be used up to +250 degrees C (and in some cases up to +300 deg C). Ferrite magnets are also low cost, particularly in high volume production runs. Author Maria HigginsPosted on September 17, 2018 September 17, 2018 Categories Ferrite/Ceramic MagnetsTags Ceramic permanent magnets, Ferrite magnets, neodymium magnet, permanent magnetsLeave a comment on Are Neodymium Magnets Stronger Than Ceramic Magnets? 1, Convert mechanical energy into electrical energy, and apply electromotive force in the conductor moving in the magnetic field. Such as receiver, generator, pickup, etc. 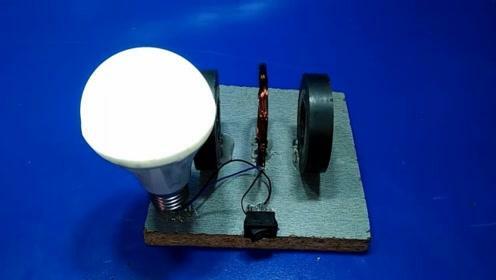 2, Convert electrical energy into mechanical energy, and the current carrying conductor will be subjected to electric force through the magnetic field. The magnitude of the force F = BLI (B is the flux density, L is the length of the wire, I is the size of the current), and its direction of force conforms to the Left-Handed Rule of the Ming Dynasty, including electric loudspeaker, motor, electric earphone, magnetron, cathode ray tube and so on. 3, Converting one mechanical energy into another is based on the principle that magnets repel each other and attract each other. Examples of such examples are electromagnets, electromagnetic conveyors, magnetic separators, etc. 4, Other special functions, including magnetized water, magnetic descaling, compass, voice coil motors, magnetic therapy and so on. Above is the more common application range of high-temperature magnet which we have introduced in detail. Although the use of high-temperature rare earth magnet involves more categories, its application in loudspeakers and other electrical sound components is the main, followed by the application in generators and motors, which account for about 60% of the magnetic material requirements. With the improvement of people’s living standards, people are gradually pursuing individuality and fashion while satisfying the basic life, thus promoting the development of this industry, making the jewelry industry has an unprecedented development trend. Magnetic jewelry is the product of this era. Magnetic jewelry has aroused people’s new understanding of ornaments. So, what should we pay attention to during the wearing process of magnetic accessories? First, when wearing magnetic ornaments, avoid direct contact with corrosive objects, so as to protect magnetic ornaments from the surface. Second, the preservation environment should also pay attention to, magnetic ornaments should be kept in a dry environment, humid conditions or other conditions are not conducive to the protection of magnetic ornaments. Third, if there is a stain, it should be properly cleaned with a soft brush, only a little stain can be used to wipe the surface with the cloth. Fourth, in the process of wearing, we should pay attention to collision with hard objects, and hard objects collision will inevitably create a gap, so that there will be defects. Fifth, the best way to maintain is to wear it every day, which is the best protection for magnetic accessories. 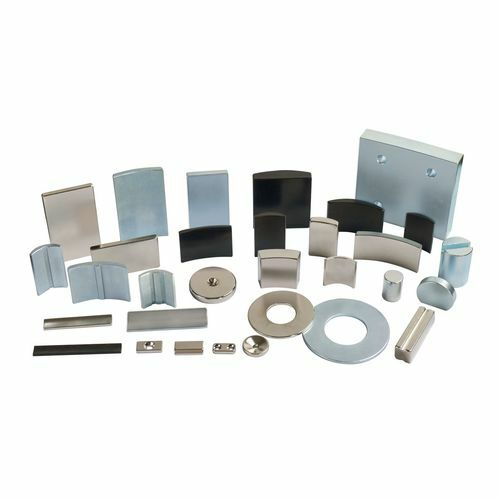 How to Choose High-quality NdFeB Magnets? The sintered NdFeB permanent magnets of 1cm 3 will be oxidized and corroded when they are left in air at 150 C for 51 days. It is easier to be corroded in weak acid solution. In order to make Nd-Fe-B permanent magnet durable, it is required to have 20-30 years of service life, it must undergo surface anti-corrosion treatment, in order to resist corrosive medium on the magnet corrosion damage. 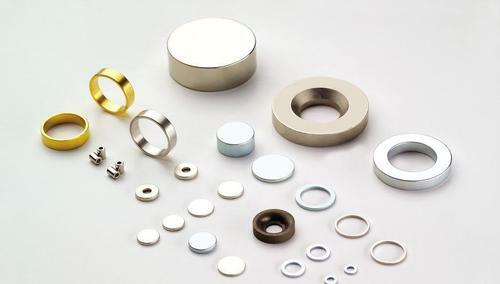 Nowadays, sintered Nd-Fe-B manufacturers generally adopt plating metal, plating + electroless metal, electrophoretic coating and phosphating treatment to coat the magnet surface with an additional layer of isolation, separating the magnet surface from the corrosive medium, in order to prevent the damage of the medium to the magnet. Manufacturers generally zinc plating, nickel plating + copper + nickel, nickel plating + copper + electroless nickel plating three main processes, other metal plating requirements, are generally applied after nickel plating with other metal plating. (2) When the magnet needs epoxy bonding, painting, etc., the adhesive force of epoxy organics such as glue and paint needs the matrix to have the very good invasion performance. The phosphating process can improve the penetration ability of the magnet surface. (3) Electrophoretic coating has become one of the most widely used anticorrosive surface treatment technologies. Because it not only has good adhesion with the surface of porous magnet, but also has salt spray resistance, acid resistance, alkali resistance and other corrosion resistance, excellent corrosion resistance. But compared with spray coating, it has poor moisture and heat resistance. Customers can choose coatings according to their product requirements. With the expansion of the field of motor application, customers have higher requirements for the corrosion resistance of NdFeB. The HAST test (also known as PCT test) is specially designed to test the corrosion resistance of sintered neodymium permanent magnets in humid and high temperature environment. And how do customers determine whether the coating meets the requirements? The purpose of salt spray test carried out by Nd-Fe-B manufacturer is to do fast corrosion protection test on sintered neodymium magnet with anti-corrosion coating. At the end of the test, the sample is taken out from the test box and dried. The color change of the box with or without speckles and speckle area on the surface of the sample is observed by eyes or magnifying glass. Why do neodymium magnets appear rust spots and how to avoid them? Magnets are stored in damp, airtight, and temperature changing areas. The dirt on the surface of the magnet before plating is not well cleaned. Plating time is not enough or process problems. The magnetic oxidation of the magnet caused by the breakage of the packaging seal. In areas with excessive humidity and poor air circulation, rust stains may occur even when the temperature difference varies considerably, even if the salt spray test qualified products are stored in harsh environments for a long time. When the electroplated products are stored in harsh environment, the further reaction between the base layer and the condensate will result in the reduction of the adhesion between the base layer and the coating, and in serious cases, it will also cause local powdering of the substrate, and then natural peeling. Electroplating products should not be placed in a high humidity area for a long time. They should be placed in a cool and dry place. Author Maria HigginsPosted on September 6, 2018 Categories Neodymium MagnetsTags NdFeB magnet, neodymium magnets, permanent magnets, zinc platingLeave a comment on How to Choose High-quality NdFeB Magnets?